Spotia is an early adopter of mobile application design and development including native and HTML5 cross-platform apps. We help you to choose the right strategy for your mobile app project based on your core objectives, target platform and budget. 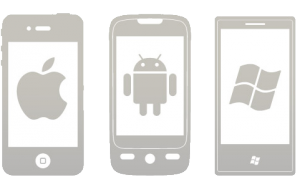 We build mobile apps for iOS, Android, Windows Phone and the web! We design your apps based on platform guidelines, best practices and the expected user experience. We understand that a large part of your app project will rely on data and we know how to create highly scalable and instantaneous mobile APIs. Once your app is launched it will naturally be subject to software updates, hardware releases and other external influences. We ensure your app stays up to date in the store by offering continued support and maintenance.